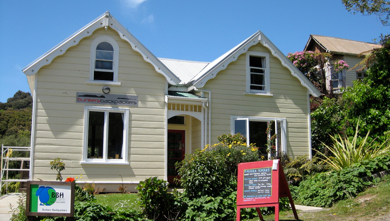 Bunkers Backpackers offers the perfect base from which to explore Stewart Island. Stewart Island/Rakiura is a haven for NZ wildlife and nature, and one of the best kept secrets in the NZ backpackers circuit. Having travelled a lot ourselves we were pretty excited to be able to put all the ideas we loved in other backpackers hostels, into our own. As a result, Bunkers is a real travellers base, where you could easily spend a week kicking back, relaxing and getting to know NZ’s third island.